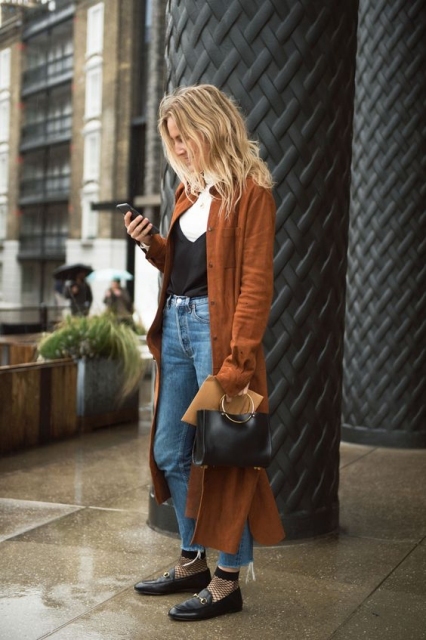 In my opinion, accessories help you to look more eye-catching, make your outfits completed and show your creativity. So don’t forget about them the next time you start making looks. 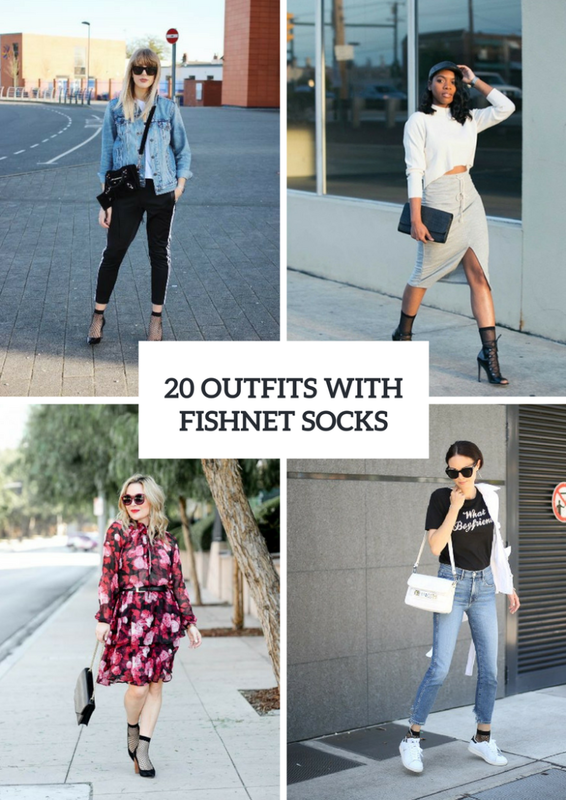 Today I wanna share with you some fashionable and chic outfit ideas with fishnet socks. Great news is that you can combine them with elegant skirts, airy dresses, classic pants, casual jeans, etc. So I’m sure today you’ll find an interesting outfit for spring days. Enjoy! 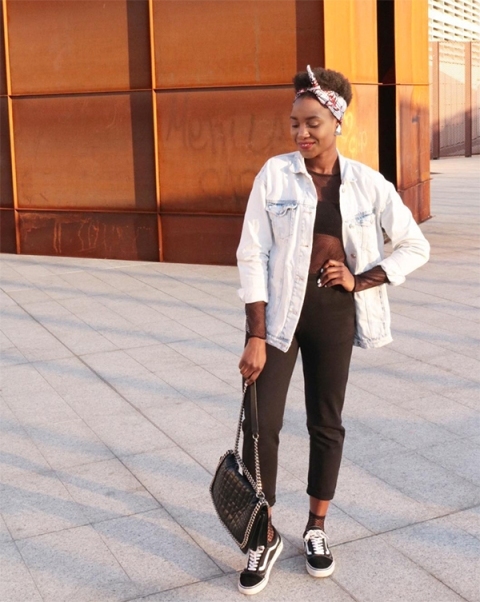 If you want to create a sporty outfit, then you should take a black top and combine it with an oversized denim jacket, olive green crop pants, fishnet socks, black and white sneakers and a black leather bag. Or you can choose a labeled t-shirt and mix it with a white jacket, skinny jeans, black socks, white sneakers and a white small bag. Wanna something elegant and gorgeous? 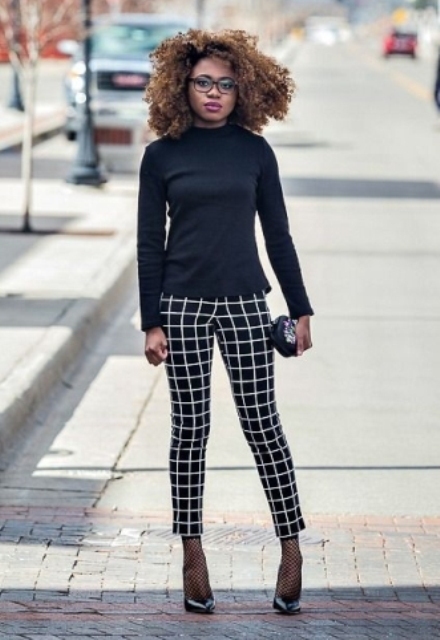 Then try to repeat an outfit with an emerald oversized blouse, black flare pants, socks, black high heels, sunglasses and a blue chain strap mini bag. 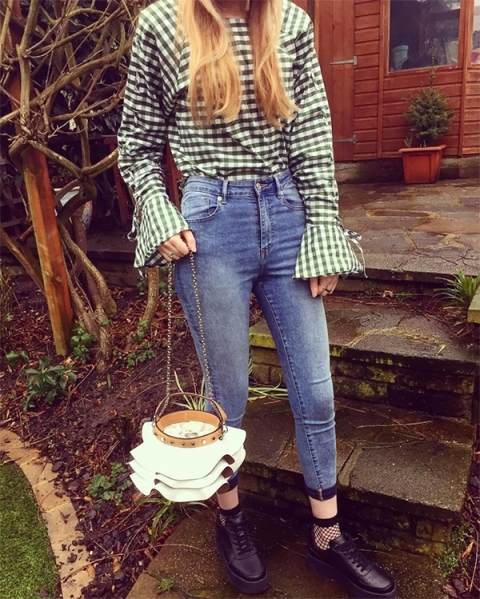 Or pair a checked ruffle blouse, crop jeans, a black leather belt, socks, a black leather bag and black mules. 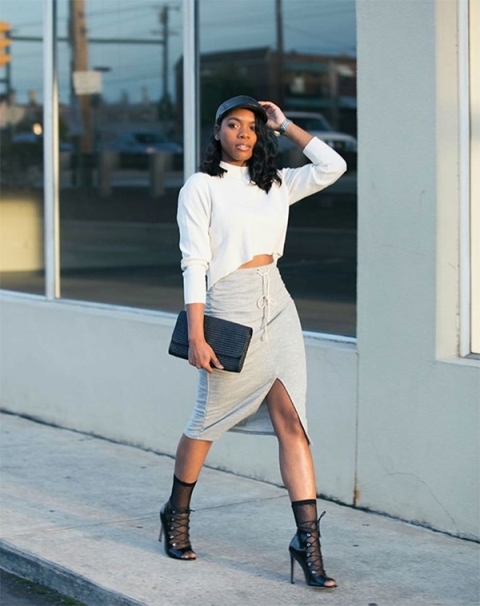 For not so warm spring days choose a gray oversized sweater and mix it with a black mini skirt, black socks, leather flats and a printed crossbody bag. 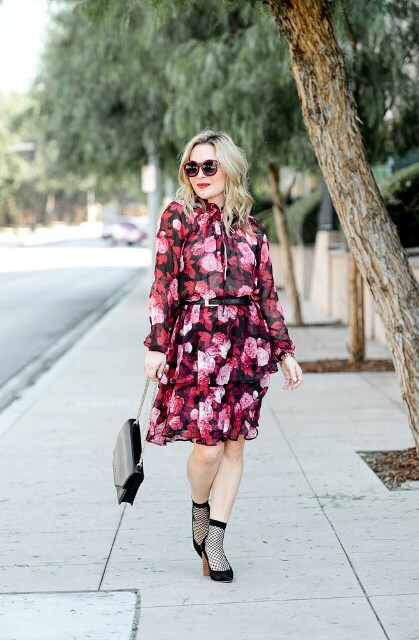 For those who want a feminine and flirty outfit, I offer to pair a pink floral knee-length dress with a black belt, socks, black pumps and a chain strap bag. Or combine a lilac t-shirt with a black side slit mini dress, a camel trench coat, black fishnet socks and white pumps. 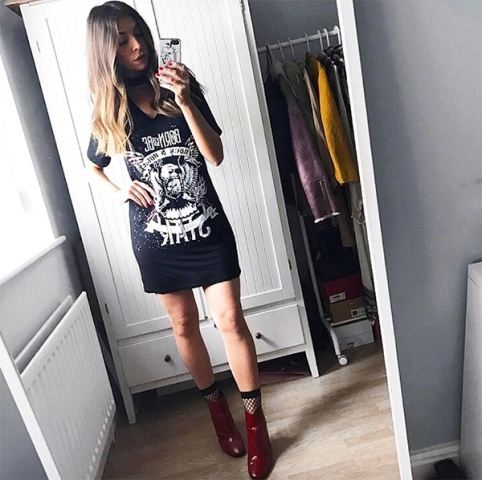 To create a casual outfit take a light blue midi dress and mix it with a socks, black and white sneakers and a cobalt blue leather bag.